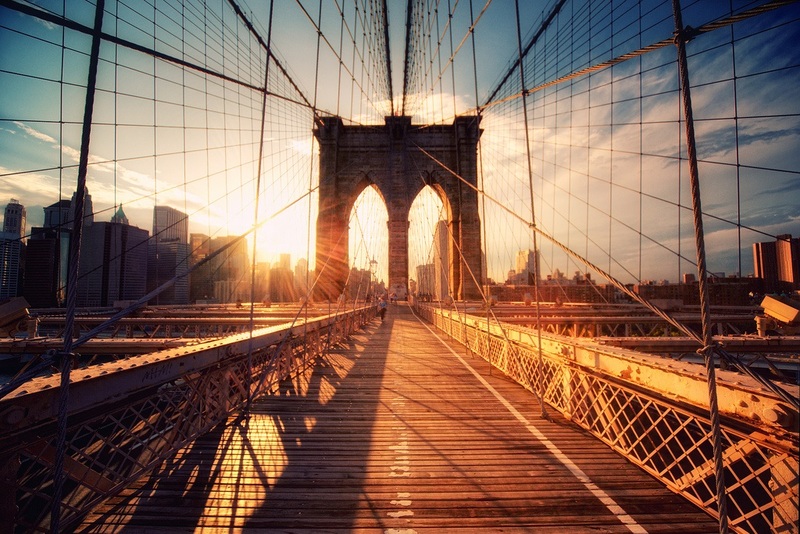 There Are Several Places In Town That Need To Be Visited Before You Leave And Are A Complete Must For Everyone Visiting Or Living In The Beautiful Brooklyn Area. Brooklyn is full of surprises and will send you home with a huge smile in your face. There are some typical and very important places to visit and some photos you can’t leave without taking, so join us for a brief comment on those iconic places. This used to be the most important summer destination in the whole USA up until the 1850’s, and remains a romantic and extremely well preserved iconic American spot that’s worth going at least once. It offers many attractions and one you definitely have to try before leaving is the incredible Cyclone Rollercoaster, built completely out of wood in 1927 and still active with a shaky movement that makes it even more scary and fun. 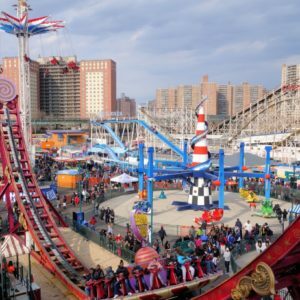 Luna Park is a great attraction due to all the rides but you must also try the iconic Nathan’s hotdog and the sandy beaches when the weather is good. It’s also important to mention Ford Amphitheater, which has seen enormous artists such as The Beach Boys, Sting, Peter Grabriel and Erykah Badu among many others, and the mind-blowing sideshows that make for a complete must-see and a wonderful experience. The 1895 building itself is an incredible work of art with a roman-inspired front and an overall classy yet retro look that makes it impossible to look aside. Its history goes way back to 1823 when Walt Whitman was once a librarian and the museum project started as a library. After many changes and additions, people can appreciate Egyptian antiquities that are 3000 years old as well as Japanese, African and of course, American works of art. It even has a “Memorial Sculpture Garden” where salvaged architectural elements from New York have their final rest. This art museum is a masterpiece and a real example of how not all museums are supposed to look the same. There’s no way you can leave Brooklyn without stepping both feet on this magnificent antique infrastructure dating from 1883, and that still carries 100,000 cars a day along with thousands of bikers and pedestrians. The view of it is stunning and if you’re lucky enough to visit it at sunset or even night, the sight is breathtaking. It’s been modernized with lights that cut the darkest nights and can also be crossed on foot; the most amazing pictures of the East River, Manhattan and Brooklyn are going to be multiplied by hundreds. Another great way to enjoy this beautiful structure is to do it from Brooklyn Bridge Park while sitting on the grass and feeling the cool breeze on your face. Once you’re relaxed, just climb a little to the Brooklyn Promenades and wait for the sunset sitting on a comfortable bench in this safe and beautiful area built specially for that: admiring the sights.